Two medications can prevent the transmission of malaria / Health News | Alternative medicine and methods of treatment of diseases. Are there any new ways of controlling malaria? Malaria is a life-threatening disease that is particularly prevalent in African countries. 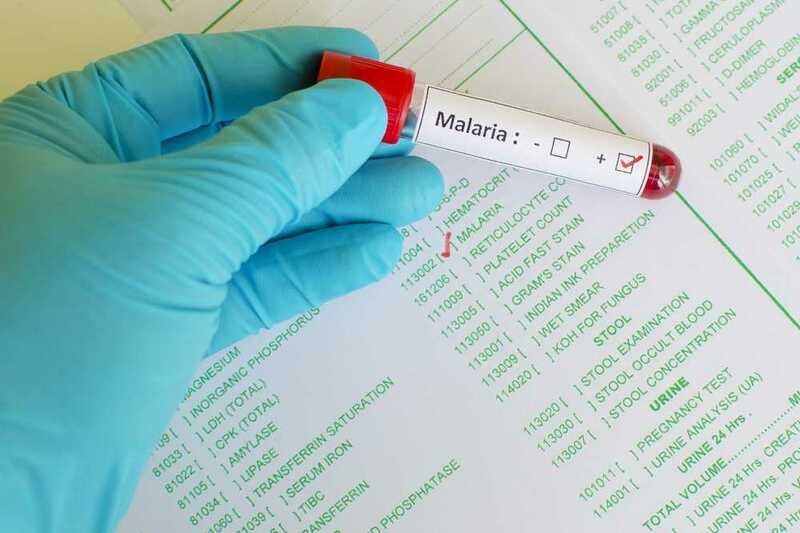 Researchers now found that two medicines could be used to safely and effectively prevent the transmission of malaria. The researchers from the University of California, San Francisco found in their study that two drugs could prevent the spread of the most common form of malaria in Africa. The physicians published the results of their study in the English-language journal "The Lancet Infectious Diseases". Researchers discovered ways to block the transmission of malaria. The use of two drugs could in the future help to reduce the spread of a type of malaria called P. falciparum, including their drug-resistant forms, say the experts. This could be a significant step forward in the eradication of the disease. Although both drugs have been in existence for more than half a century, this is the first time that the exciting and impressive effects of each of these drugs on malaria transmission have been so clearly demonstrated in a comparative study, study author Professor Dr. Roly Gosling of the University of California, San Francisco. The efficacy of antimalarial drugs used for seasonal so-called malaria chemoprevention can be significantly improved. The discovery has the potential to end the threat of malaria to millions of people across West Africa. Malaria has different forms. The disease spreads through a recurrent cycle in which it is transmitted from mosquitoes to humans and back again, the experts explain. When a person is stung by an infected mosquito, malaria parasites migrate through the liver into the bloodstream, where they then circulate for several weeks. The majority of parasites replicate in the red blood cells in asexual forms. But a small percentage develops in male and female cells, called gametocytes. These play an important role in the transmission of the disease to mosquitoes. Because these gametocytes are not killed by the antimalarial drugs used to treat P. falciparum (the most common form of malaria in Africa), people can transmit the infection to mosquitoes for weeks after treatment, scientists say. For this reason, something must be added to the treatment scheme to block such transmission. How do primaquine and methylene blue work?? The current study examined the safety and efficacy of primaquine, which has been used for decades to treat another form of malaria (P. vivax). In addition, a laboratory dye called methylene blue has been studied, which has been used for almost a century to distinguish dead from living cells. When injected into the bloodstream, methylene blue also acts as an antimalarial drug. The researchers found that each of these compounds, when added to various antimalarial regimens, prevented the gametocytes of P. falciparum malaria parasites from getting into mosquitoes by infected humans. "Patients who did not receive these medications could still get mosquitoes infected for at least a week after treatment," explains Dr. Alassane Dicko in a press release from the University of California, San Francisco. The researchers say the findings could accelerate the elimination of malaria in the affected countries. However, further studies are still needed to identify the optimal scenarios in which these drugs can be used.